The Cosmetic Surgery and Laser Center is located at Fashion Island, in beautiful Newport Beach. Headed by Dr. Thomas Barnes, the warm and friendly staff believe in "balance" in terms of procedure choices - and results. Creating an environment to make you feel at home and completely at ease is of the utmost importance to us. Our goal is to offer natural, non-surgical looking results with the least invasive facial or body procedures possible so you can look and feel your best. An art as well as science, cosmetic surgery requires both a discerning eye and surgical experience. Dr. Barnes, who originally coined the term "lunchtime makeovers" in 1998, has since been featured on a multitude of shows including but not limited to The Today Show, Good Morning America, Extra and various news channels such as ABC, CBS, and NBC. Dr. Barnes is frequently sought after as an expert due to his innate ability to educate viewers and listeners about the latest procedures while creating a sense of credibility and familiarity. After graduating from USC of Medicine, Dr. Barnes completed his residency at UCLA. His proven expertise in his field earned him the title of one of the pioneers in laser lipolysis. As an industry expert on SmartLipo, he trains other physicians on the precise art and science of laser assisted liposculpture. Furthermore, as one of the original Botox Physician Trainers for Allergan Pharmaceuticals, he has performed and trained other physicians on Botox and other fillers. 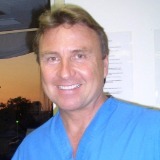 His vast experience includes extensive work with a myriad of lasers, fillers and all the latest procedures. Dr. Barnes believes that every one of his patients deserves his professional time and experience, however small or large the procedure. As such, he performs every procedure himself, from Botox injections, photofacial procedures, to SmartLipo MPX.